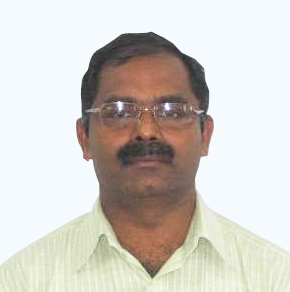 Joined as a scientist at CMFRI in 1996 after completing post graduation in Aquaculture from College of Fisheries, Panangad (Kerala Agricultural University). Obtained PhD based on the research carried on Octopus biology and reproduction. Initial years focused mainly on molluscan fisheries at Rameswaram area and seed production and pearl production from Pinctada fucata at Mandapam. Presently focused my research on marine finfish breeding and farming. II. Imelda Joseph, shoji Joseph, Boby Ignatius, G. syda rao, K.S. Sobhana, D.Prema and Molly Varghese, 2010.A piolet study on culture of asian seabass lates calcarifer (Bloch) in open seacage at Munambam, cochin cost, India. Indian J. Fish., 57(3): 29-33. III. Vijayagopal, P and Chakraborty, Kajal and Iyapparajanarasimapallavan, G and Anil, M K and Ignatius, Boby and Correya, Neil Scholastin and Vijayan, K K (2012). Development of live feed enrichment product for marine fish larviculture. Indian Journal of Fisheries, 59 (2). pp. 121-125. V. Gopakumar, G and Madhu, K and Madhu, Rema and Anil, M K and Ignatius, Boby (2011) Marine Ornamental Fish Culture – Package of Practices. CMFRI Special Publication (101). pp. 1-100.